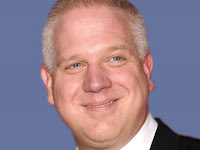 The following is a press release from the liberal media watchdogs that Beck tries to discredit because they receive a percentage of their funding from a billionaire that Glenn Beck hates, Media Matters for America. Beck has previously deceptively edited video in order to deceive his audience which can be seen here and here. Beck's penchant for changing reality by editing video is just one of many techniques he uses in his yellow propaganda. Beck Uses Deceptive Editing To Claim Netanyahu Had To Rebuke Obama For Aiding "Radicals"
Glenn Beck deceptively edited Israeli Prime Minister Benyamin Netanyahu's comments to Congress to suggest they were a rebuke of President Obama, who purportedly "played into the hands of radicals." In fact, Netanyahu made clear that his comments were not a denunciation. BECK: But tonight Benjamin Netanyahu, he addressed a joint session of Congress to make crystal clear where he stands. Listen. PRIME MINISTER NETANYAHU [video clip]: Israel will not return to the indefensible boundaries of 1967. The vast majority of the 650,000 Israelis who live beyond the 1967 lines reside in neighborhoods and suburbs of Jerusalem and greater Tel Aviv. Now, these areas are densely populated, but they're geographically quite small. And under any realistic peace agreement these areas, as well as other places of critical strategic and national importance, will be (ph) incorporated into the final borders of Israel. The status of the settlements will be decided only in negotiations. But we must also be honest. So I'm saying today something that should be said publicly by all those who are serious about peace: In any real peace agreement, in any peace agreement that ends the conflict, some settlements will end up beyond Israel's borders. Now, that is what I said. And it was my reference to the 1967 lines -- with mutually agreed swaps -- that received the lion's share of the attention, including just now. And since my position has been misrepresented several times, let me reaffirm what "1967 lines with mutually agreed swaps" means.